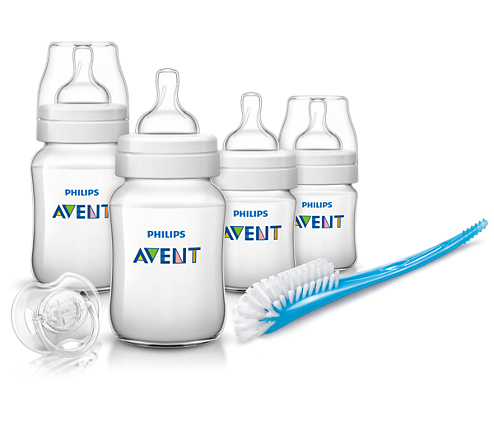 The Philips Avent Classic+ bottle is compatible with most of the Philips Avent range. We recommend using the Classic+ bottle with Classic+ teats only. In contrast to other bottles, the clinically proven anti-colic system is now integrated into the teat, making it easier to assemble the bottle correctly. As your baby feeds, the unique valve on the teat opens to allow air into the bottle instead of your baby's tummy. The unique valve on the teat flexes to your baby's feeding rhythm. Milk will only flow at the pace chosen by your baby to minimise overeating and spit-up, burping and wind. With only 4 parts, a wide bottle neck and rounded corners, our bottle is easy to clean quickly and thoroughly. Have peace of mind that your bottle is truly clean in no time. The Philips Avent Classic+ range offers different teat flow rates to keep up with your baby's growth. Remember that age indications are approximate as babies develop at different rates. All teats are available in twin packs: Newborn, Slow, Medium, Fast and Variable Flow. 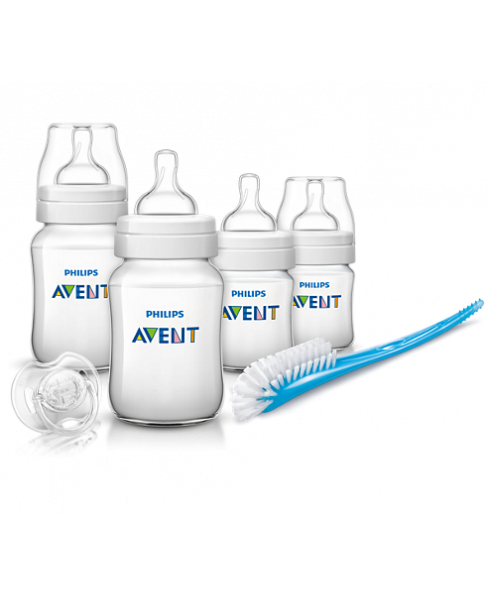 In accordance with EU directive 2011/8/EU, the Philips Avent Classic+ feeding bottle is made of BPA-free material (polypropylene).